Wait, did we cover that standard already? Which group of students is ready to move on? Where are they coming from and where are they going? Tracking when concepts are taught and/or mastered is a crucial part of every teacher’s daily routine. Taking time to record not only what we teach but also whether a student has mastered the skill and is prepared to move on to the next is critical for making sure that your classroom lessons and activities run smoothly. A great way to track each of the standards you have taught is by using a tracking sheet as you plan through the school year. These tracking sheets can also be used for data collection for intervention and small groups to keep their data close at hand. 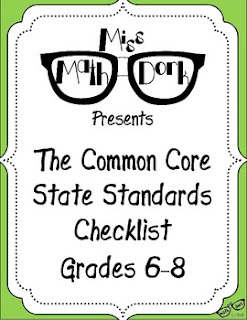 These tracking sheets have the Common Core State Standard code and standard. For your tracking ease, there are 6 blank columns for your various reporting needs. Make sure to check out all THREE grade level strands! Like what you see? Leave me feedback! I am constantly looking to improve my items! Feel free to let me know how I can do that? Thank you so much for support! Personal Copyright: The purchase of this product allows you to use these activities in your personal classroom for your students. You may continue to use them each year but you may not share the activities with other teachers unless additional licenses are purchased. Please contact me via email for additional licenses. Site and District Licenses are also available. A Birthday Cupcake for YOU!